Located in Brisbane’s Newstead Gasworks precinct, Unison will be delivered over 2 stages, Unison North and Unison South. The first stage, Unison South, comprises 135 one, two and three-bedroom apartments plus a special release of 9 terrace homes on Wyandra Street. Pricing ranges from $375,000 for a one-bedroom, $515,000 for a two-bedroom and $875,000 for a three-bedroom. Unison has been designed to maximize Queensland living with all apartments offering generous balconies ranging in size from 10sqm to 135sqm. Mirvac Group Executive Residential, John Carfi, is confident that Unison sales will exceed all expectations. “Property values in Brisbane rose by almost three per cent at the end of the first quarter showing the residential market is really bouncing back,” he said. “Given the level of anticipation and registered interest we’ve already experienced, we are excited about the upcoming public release scheduled to take place on 19th July. 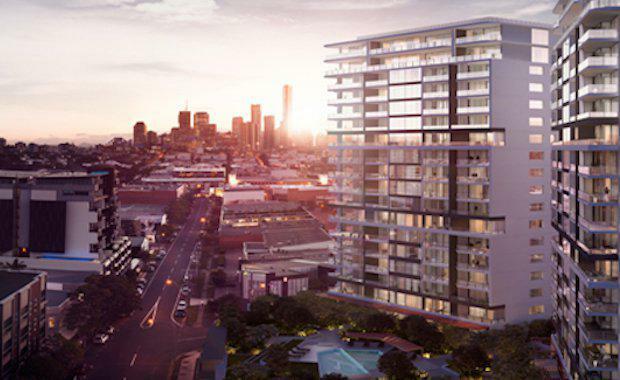 “We’re therefore also aiming to launch the northern tower earlier than planned and we’re expecting a similarly high level of interest from Brisbane home-hunters,” he said. Unison has received an strong interest from local buyers in both Newstead and greater Brisbane. “Over 90% of interest has originated from Queensland with over 40% of registrations coming from the immediate area of Newstead which means locals are embracing this exciting and emerging new address,” said Mr Carfi. Unison will feature a diverse palette of external materials that reflect the area’s heritage with face brick, patterned perforated panels and timber composite and off-form concrete finish facades. “Architecturally speaking, the design combines a unique, modern interpretation of Teneriffe’s distinguished heritage with a sleek contemporary reinvigoration. This combination of old and new will appeal to those seeking the convenience of modern living without losing the soul and character that is so unique to the area,” said Mr Carfi. With four street frontage, Unison will feature elaborate community spaces anchored in an elevated 4,000sqm garden, an 18 metre lap pool with waterfall edge plus an integrated plunge pool and two outdoor kitchens. The entertainment area also includes BBQ equipment, sinks and outdoor seating. The podium will feature include a yoga lawn; a fire-pit and meandering walkways and a gymnasium on level two. Unison is the third stage of the Waterfront Precinct. Waterfront includes Pier and Park Residences, as well as hectares of public parkland and a 8,000sqm perched lake. The Waterfront Precinct has delivered a total of $350 million in sales to date. Unison South is due to be released on July 19.